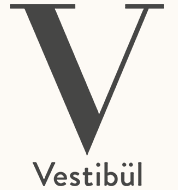 A romantic dinner for two ... or an enjoyable evening with friends ... give the gift of lasting memories – with a gift voucher for the Restaurant Vestibül. Vouchers are personalised and made out to the amount you specify, promising an unforgettable time. We are happy to take gift voucher orders over the phone.